It has occurred to me lately that I have spent a lot of time making myself suffer over the choices of other people. It is almost like I never realized that I have no control over such things; that my control lies solely in my own choices and my responses to others. Yet, still, I believed that one of my best qualities was being non-judgemental. Though this may have been true in how I presented myself, I now know it was never completely true in my heart. My youngest daughter has taught me so much about this. My Wild Child. She makes a lot of choices that I would never make. And, yes, as a consequence, she does find herself in her fair share of pickles. This breaks my heart, which I suppose is natural. I am her Mom. But there is more. It also makes me incredibly angry (probably because I am so scared of the idea that any ill could befall my precious daughter). I must admit, the phrases: “What was she thinking?” and “Why does she do these things” have passed through my mind on several occasions. Lately, though, I am realizing how utterly judgmental and unkind these thoughts really are. I am starting to see that this mindset (this heart-set) is not valuing my daughter for who she is. My Wild Child is a risk taker. She is confident to try new things. She will not be chained to a life of “should and should not”. Yes, her father and I raised her to be strong! My Wild Child also owns the consequences of her actions. She learns from them. She copes in her own way. She is living her own life, and relishing in every single moment of her youth. So, who am I to say her way is wrong. Actually, my way would most likely not fit at all for her. After all, this is her life to live. God forgive me for my judgemental heart; forgive me for my lack of love and grace! 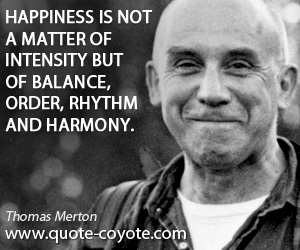 Have a Happy, Balanced Week-End!